A proud Melanie Wood, director, Wood Design & Management here talks to Phil Blizzard at GIBTM about the award winning stand for the Abu Dhabi Tourism & Culture Authority. The design has won the title of ‘Best of The Best’ at ITB Berlin for the past two years. 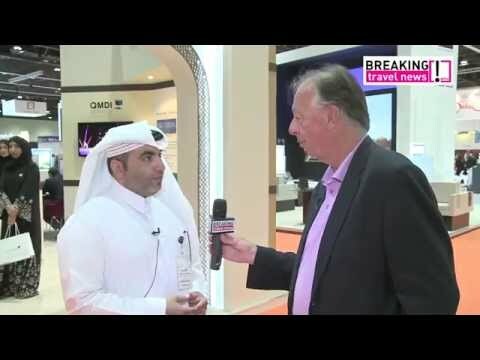 Here Hamad Mohammed Al Abdan, director of exhibitions, Qatar Tourism Authority talks to Phil Blizzard at GIBTM about the destination’s Tourism Masterplan and how the MICE sector plays an important part in these goals. Al Abdan also provides an overview of the lead up to the FIFA World Cup 2022. The 2014 edition of the Gulf Incentive, Business Travel & Meetings show at the Abu Dhabi National Exhibition Centre has closed with over 74 first-time participants attending the show. These included delegations from Kazakhstan, Russia, Morocco, South Africa and South Korea, all of whom launched exhibitions at the this exciting business to business event. The Gulf Incentive, Business Travel & Meetings show has welcomed over 74 first-time participants, over 250 key targeted hosted buyers, over 2,000 trade visitors, expanded its line-up to include a fresh business travel focus and added exclusive access to new industry research. GIBTM 2014 is the eighth edition of the industry showcase and delivered its most content-rich programme to date, boosted by the region’s flourishing meetings calendar and vibrant business travel sector. The Middle East is the fastest growing international association meeting market in the world according to an International Congress and Convention Association study which was revealed recently, coinciding with the eighth edition of Gulf Incentive, Business Travel & Meetings show. Highlighting Abu Dhabi’s support for the meetings and incentive industry, HH Nahyan bin Mubarak Al Nahyan, minister of culture, youth and community development and board member of the National Council of Tourism and Antiquities, attended the show. Business destinations in the EU are now on the cusp of an influx of business travellers from the UAE, after the European Parliament voted for Emiratis to be exempt from obtaining visas to visit any of the 25 Schengen countries. “A further announcement will be made regarding the execution of the decision, but effectively this means Emiratis will be able to travel freely to 25 countries in the EU for periods of up to 90 days without a visa,” said Lois Hall, exhibition manager of the Gulf Incentives, Business Travel & Meetings Expo. GIBTM 2014 has unveiled the eagerly anticipated release of the inaugural Middle East Buyers Report, which surveyed planners from ten countries in the Middle East, to gain direct insight into their purchasing habits and the decision-making process. The results highlighted that price alone was not a key driver for regional buyers in the meetings and incentives sector. 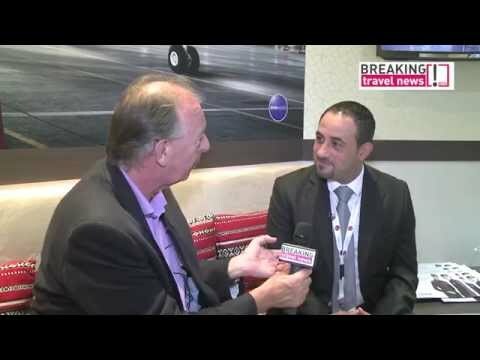 Ahmed Haseeb, general manager of Sands Hotel Abu Dhabi, has stressed to Breaking Travel News the importance of participating in the Gulf Incentive Business Travel & Meetings Exhibition. Speaking at the show he said Sands’ participation in the event is of “extreme importance” to the hotel, adding that Abu Dhabi in general and Yas Island in particular can cater for all the needs of visitors and tourists. The Thailand Convention and Exhibition Bureau (Public Organisation), or TCEB, highlighted the importance of the Middle East region, during an announcement at the Gulf Incentive Business Travel Meetings (GIBTM) exhibition currently being held in Abu Dhabi. GIBTM 2014 has opened its doors, with the eighth edition of the industry showcase set to deliver its most content-rich programme to date, boosted by the region’s flourishing meetings calendar and vibrant business travel sector.